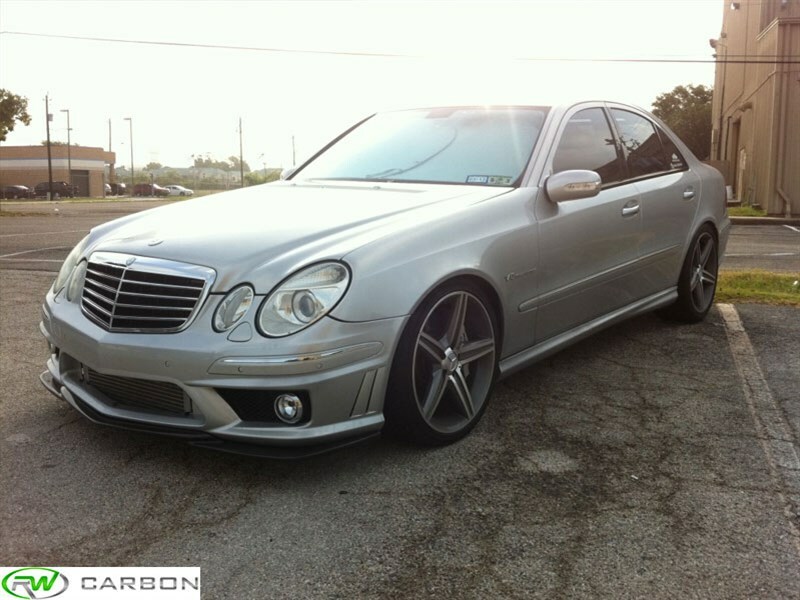 Obtain a new front end look and stance for your Mercedes W211 E63 AMG with this Godhand Style Carbon Fiber Front Lip. Whether your E63 AMG is stock or already has some carbon fiber accents this lip will mesh perfectly with your vehicle's theme. 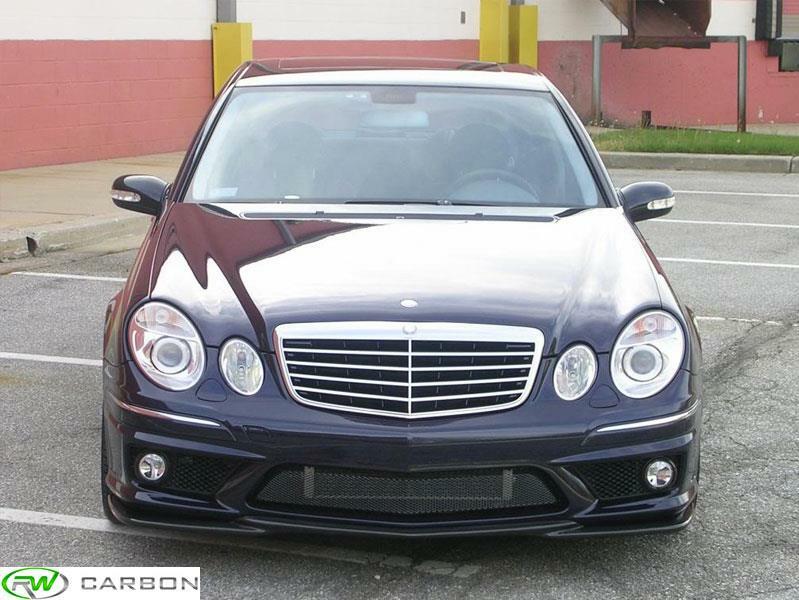 To ensure the Mercedes W211 E63 AMG Godhand Style Carbon Fiber Front Lip stands up to the abuses of daily driving we finish it with a generous clearcoat. Installation for the front lip is plug and play on your front bumper meaning no other parts are required to install this piece. Expect quick shipping and product that arrives free of damage when you order your W211 Godhand Style Front Lip from RW Carbon. 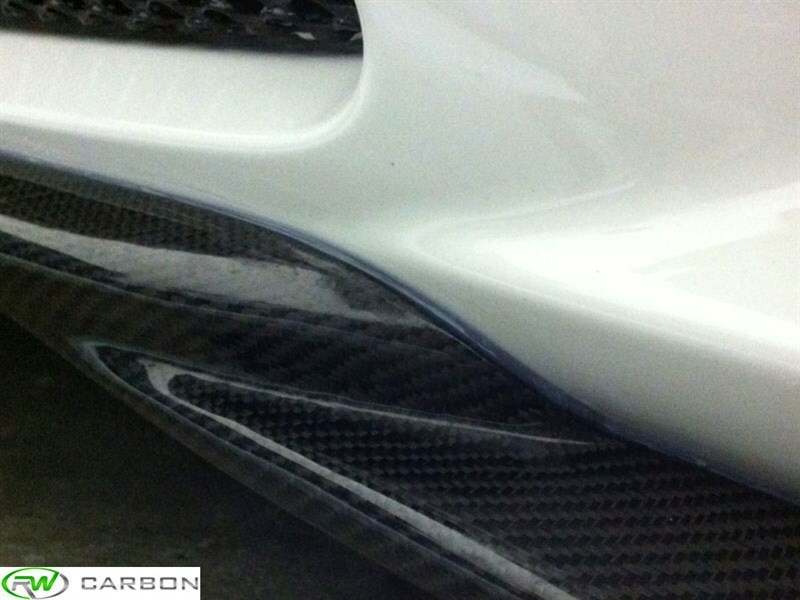 Every W211 godhand CF lip is backed by RW Carbon's fitment and quality guarantee. 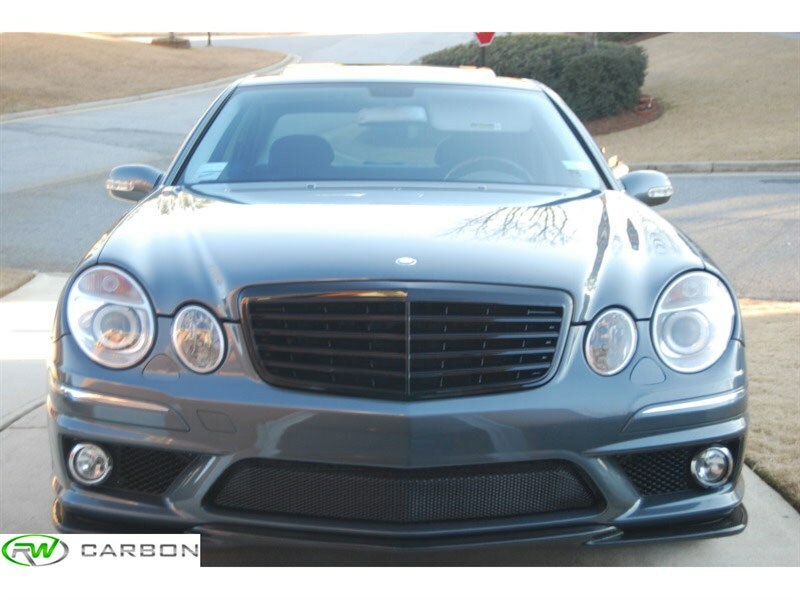 Professional installation is always recommended for RW Carbon's products including this Mercedes W211 E63 AMG Front Lip Spoiler. The only hareware needed for installation is 6-8 self taping screws. We know there are many companies out there claiming to have the best carbon fiber exterior additions for your Mercedes. At rwcarbon.com we pride ourselves on taking the time to quality check every piece we ship out. Many other competitors ship you a product that comes straight from overseas - without taking the time to check it. If you order one of these parts you could receive a part that is damaged, has scratches in the clear coat, or possesses overall poor carbon fiber construction. By choosing RW Carbon we make the promise to deliver you a consistent, quality product that is shipped from our Southern California location - the first and every subsequent time you order from us. 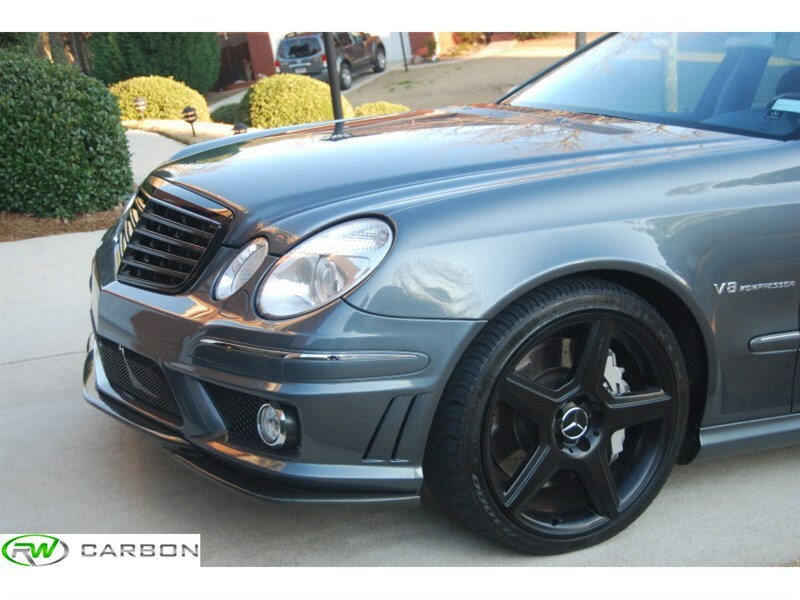 Additionally, all products shipping from our warehouse are meticulously inspected, and packaged to ensure you receive the best possible carbon fiber Godhand style front lip spoiler for your Mercedes W211 E63 AMG. 4 out of 5, based on 8 user ratings. Shipping took a while due to the bad weather on the east coast, but great quality at a great price. Customer service was top notch as well. They answered all my questions and emails in a timely manor. Would definitely buy from them again!